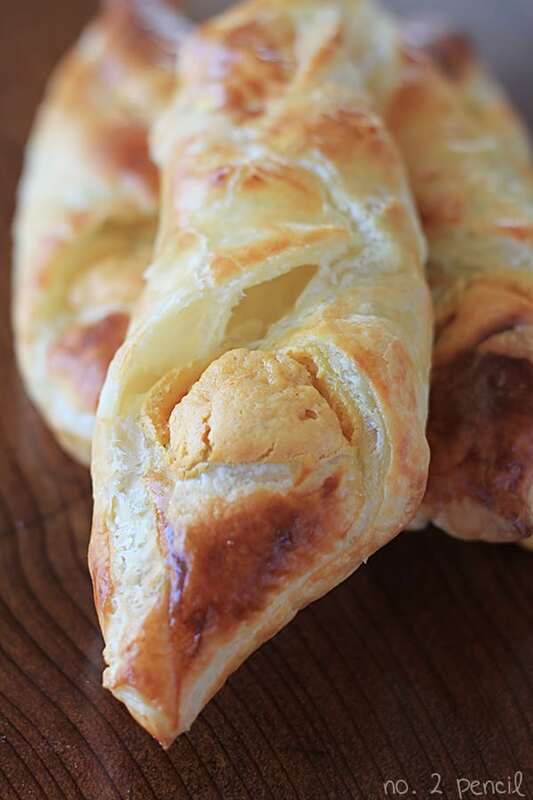 I cannot wait for you to try this pumpkin cream cheese danish recipe! These are buttery and flaky with a rich pumpkin filling that is perfect for fall. The best part is these are unbelievably easy to make. If I could fall in love with a baked good, this would be my soul mate. Nothing compares to a freshly baked danish, and this one is perfect with a cup of coffee or my slow cooker caramel apple cider. 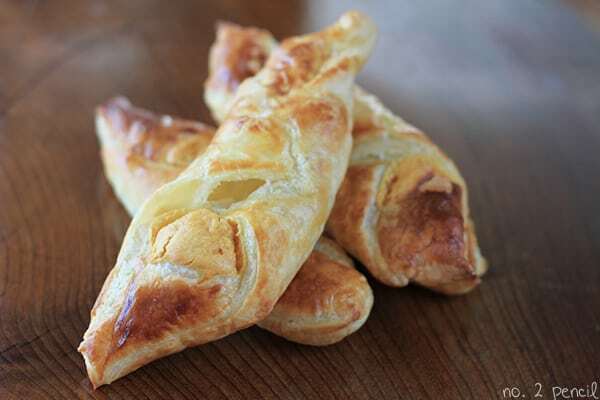 I adapted this recipe from Ina Garten’s Easy Cheese Danish recipe. It’s one of my absolute favorites and I’ve made it dozens of times. 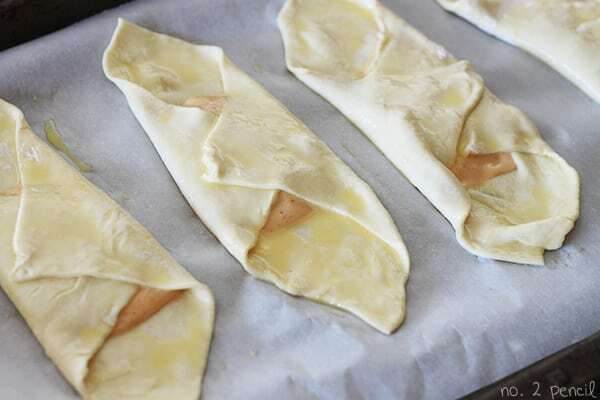 Start by thawing two sheets of puff pastry according to package directions. Mix pumpkin filling and prepare egg wash. Preheat oven to 350 degrees. 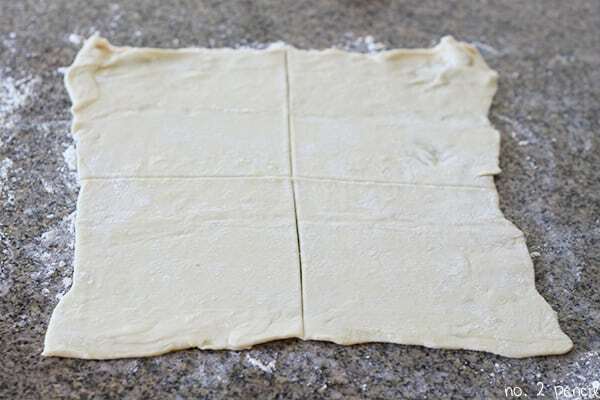 Roll out puff pastry with a pie roller, just slightly, on a lightly floured surface. One or two rolls will probably do. You want the sheet to measure about 10 inches by 10 inches once rolled out. Divide each sheet into 4 parts, I used my pizza cutter. Place two generous tablespoons of filling in the middle of each square. Brush edges of puff pastry with egg wash. Fold one corner over and brush with egg wash. Repeat with opposite corner. 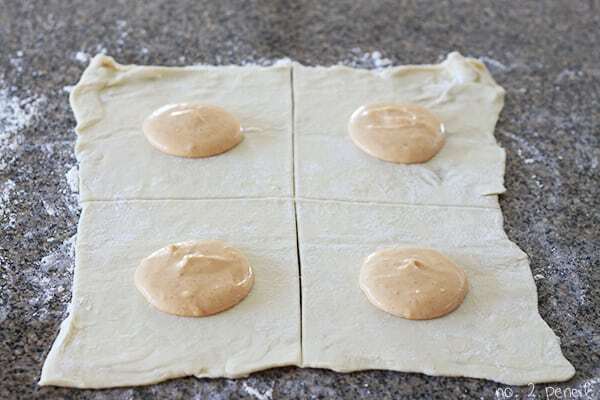 Carefully transfer danish to a parchment paper lined baking sheet. 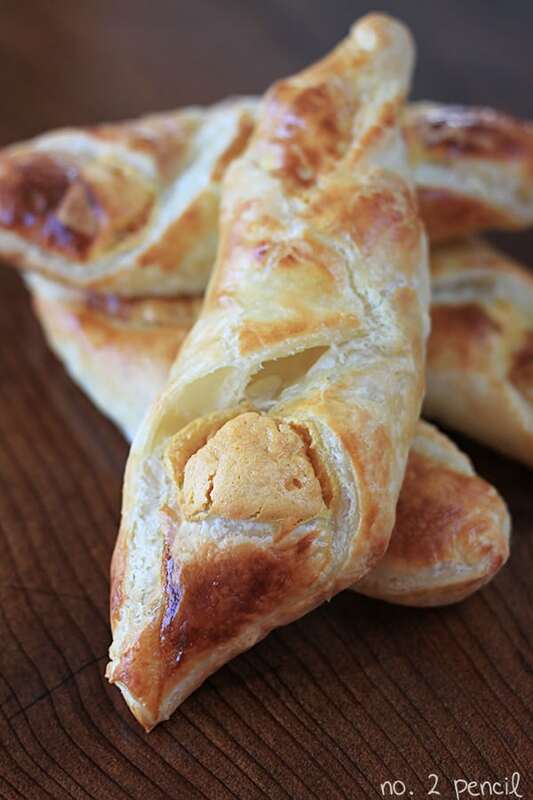 Bake 10 – 15 minutes or until pastries are golden brown. Watch these carefully in the oven because they go from golden brown to overly browned very quickly. Serve warm. Start by thawing two sheets of puff pastry according to package directions. In the bowl of a stand mixer, beat cream cheese and sugar together. 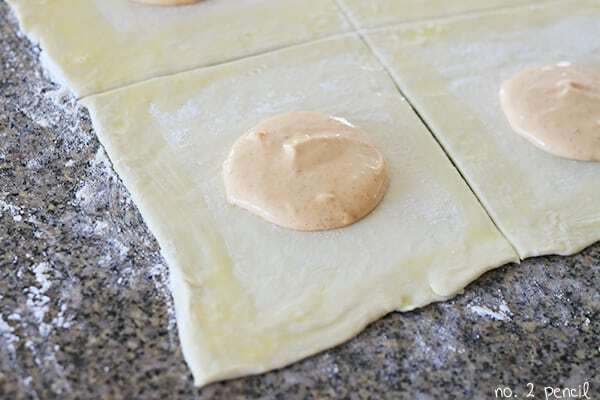 Roll out puff pastry, with a pie roller, just slightly on a lightly floured surface until they measure 10 inches by 10 inches. Cut sheet into 4 squares. 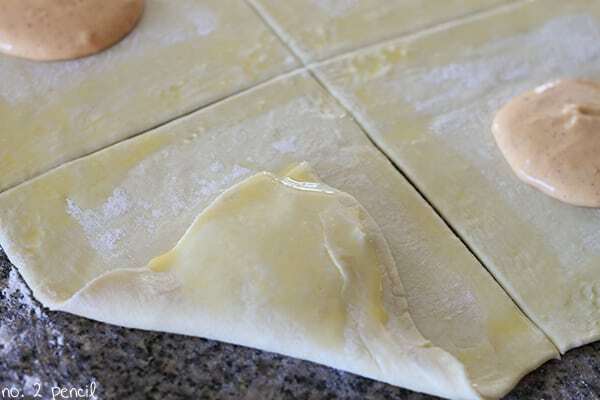 Place two generous tablespoons of filling in the middle of each pastry square. Bake 10 - 15 minutes or until pastries are golden brown. Watch these carefully in the oven because they go from golden brown to overly browned very quickly. If you want to make these ahead, you have two options. Both work really well! You can prepare the pastries, place them on the baking sheet, and refrigerate uncooked until ready to bake. Overnight is fine! Just add a few minutes to the baking time to account for the additional chill. You can also bake, then store at room temperature loosely covered. Then reheat on a baking sheet in a 350 degree oven for about 4 minutes. They taste freshly baked! These sound so delicious, what a unique combination. Love the creativity! I made a pumpkin pie version of Ina’s easy cheese Danish years ago and you’re right – so good! !